On behalf of the Asheville on Bikes Board of Directors, I’m writing to express our support for the original RADTIP design and urge council and staff to prioritize and accelerate the funding and completion of the Lyman St segment from the planned roundabout to the Amboy bridge which includes a two-way protected cycle track, sidewalks, and greenway. AoB’s leadership appreciates council and staff’s willingness to explore alternative options following funding shortfalls. After review of the proposed alternatives, it’s evident that the best treatment for Lyman St continues to be the original design which includes a two-way protected cycle track, sidewalks, and greenway. 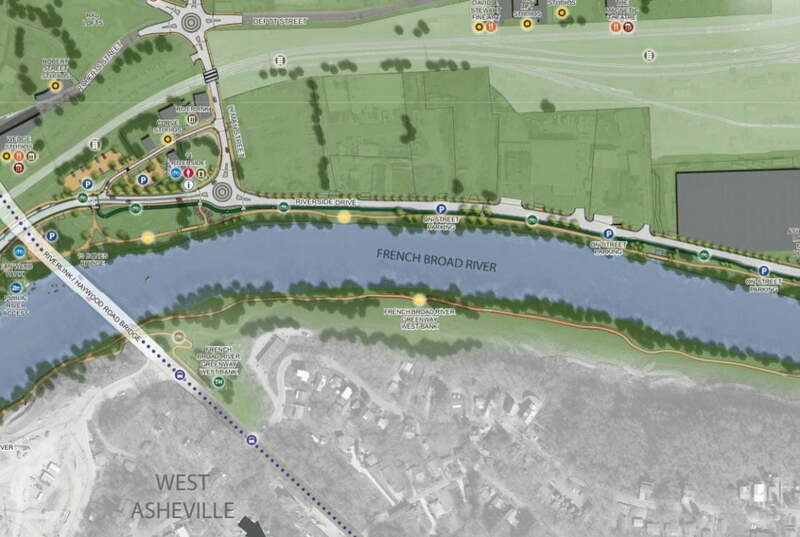 AoB’s position is that the Lyman St corridor, from the planned roundabout to Amboy bridge, is critical to Asheville’s future active transportation network because this segment provides essential connectivity and sets a precedent for future active transportation facilities along our river corridor. Lyman St is the hub that will one day connect Swannanoa, East Asheville, South Asheville, West Asheville, Kenilworth, Biltmore Village, Woodfin, Weaverville, and Marshall. 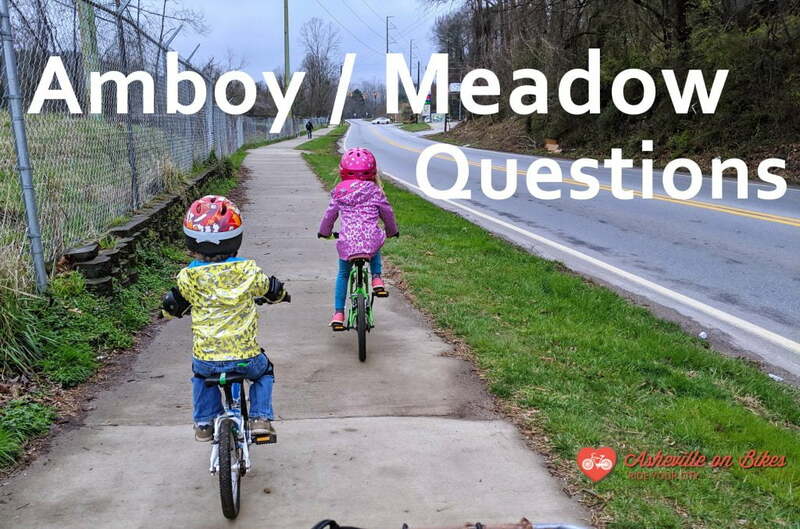 Our community would greatly benefit from protected bicycle facilities and pedestrian infrastructure along Amboy Rd, Meadow Rd, and Riverside Dr as they would enable community members traveling by a variety of modes to connect to many different destinations safely. We urge city council and staff to prioritize funding and accelerate the completion of this critical segment of RADTIP so that future users can safely travel throughout our community. AoB appreciates the robust community support for RADTIP completion and acknowledges that the need to phase construction is a disappointment to many in and beyond the AoB community. We acknowledge that a phased implementation approach for the project as a whole is necessary given budgetary constraints. However, we do not believe improvements to any particular section of the project should be phased. Building an active transportation network through the RAD has long term economic benefits, but it also imposes short term economic impacts on local businesses during construction. Completing Lyman St, including a two-way protected cycle track, sidewalks, and greenway, in a single phase minimizes impacts on RAD businesses and also reduces overall project costs by eliminating the need to update treatments in preparation for later phases. Further, AoB leadership remains cautious in embracing the phased approach because no one can predict future priorities and future city leadership support for completion of all RADTIP elements as currently planned. As a step toward a more certain future, AoB requests that city council pass a resolution prioritizing funding and accelerating the completion of Lyman St from the planned roundabout to Amboy bridge with the inclusion of protected bicycle facilities, sidewalk, and greenway. The inclusion of these elements along Lyman St sets a precedent for future infrastructure projects, and a resolution prioritizing the completion of Lyman St sends a clear statement of support to future council for continued investment in active transportation on this critical corridor. Please find a draft of the resolution enclosed. Related Content: Click here for more posts about RADTIP.